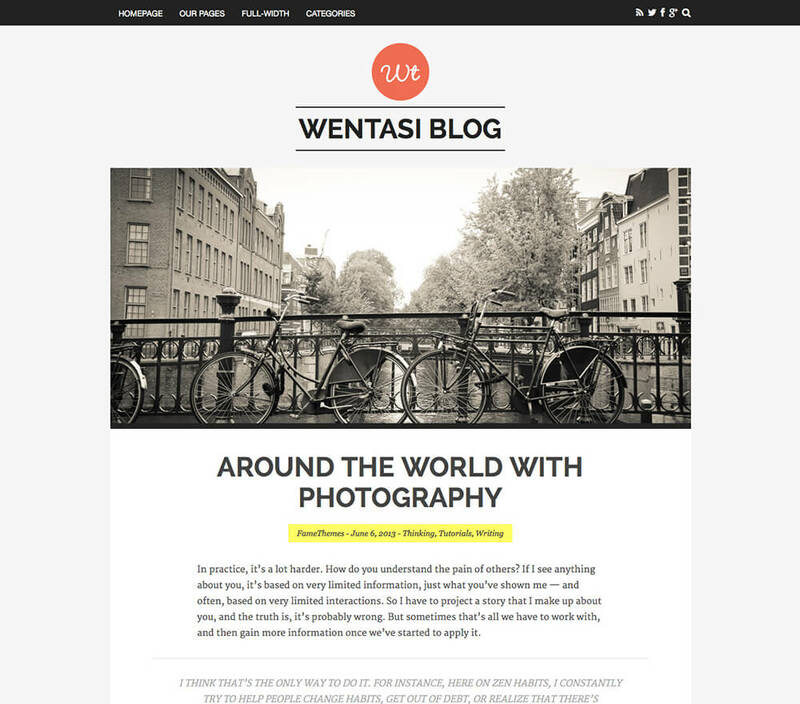 A elegant tumblr WordPress theme designed with full-content layout, fixed top bar and model footer. 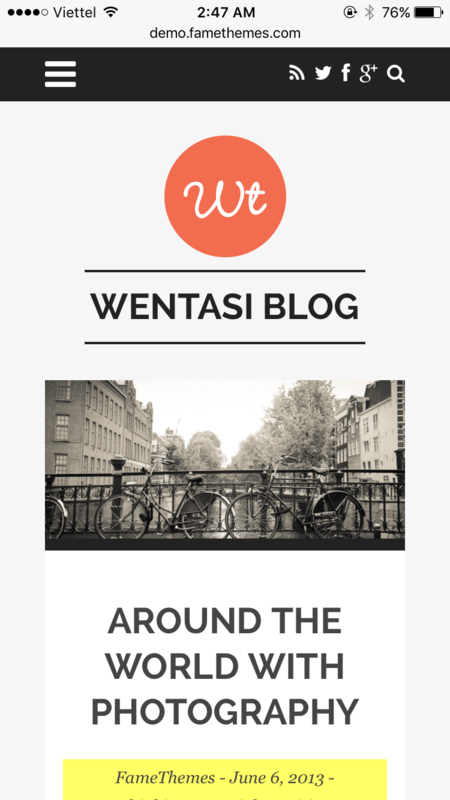 Wentasi supports post formats for : galleries, videos, musics and standard posts. Quickly change aspects of the design with a built-in customizer. Translate the theme into the language of your choice. Latest advanced functionality available with HTML5 and CSS3. Our themes are optimized for SEO so you’ll stand out from the crowd. Don't fall behind your competitors, all of our themes are optimized for speed. Page templates giving you access to pre-made styles and functions. We made sure our themes are tested in all modern browsers. Custom and customizable widgets are part of our never ending mission. Each theme that you purchase comes with 1 year of priority support. Cancel or Upgrade your account at any time after signing up! 100% Satisfaction Guaranteed — 15 days refund policy. We've got your back, view our documentation or submit a support ticket. Copyright © 2013 - 2019 FameThemes, Inc. All Rights Reserved.